Battling cancer is never easy, but the journey from sick to well again can be made more manageable with kind, helpful people by your side. 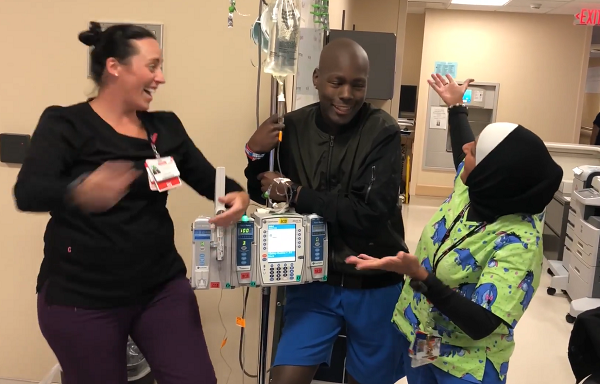 Davion M. Hollywood was diagnosed with cancer in February, and it took five long months of treatment before he was able to achieve remission. The 17-year-old spent most of that time at the Children’s Medical Center in Dallas, Texas, where he received some of the best care in the country. 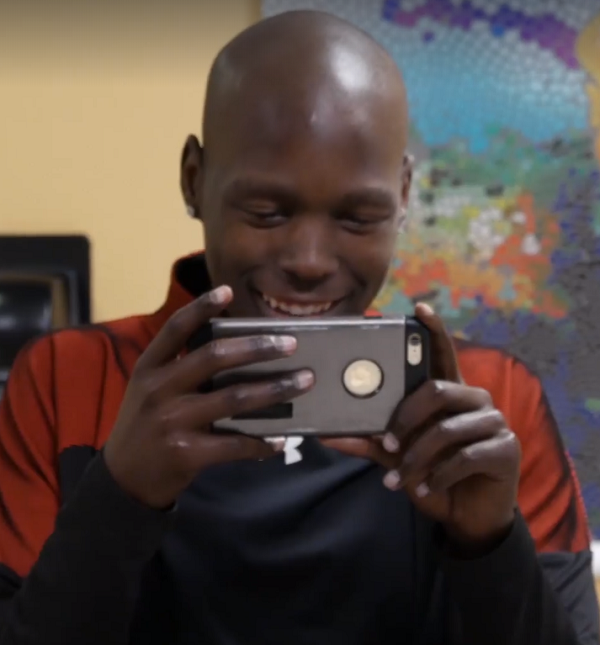 From the moment he was diagnosed, the tech-savvy young man started filming every experience on his phone. 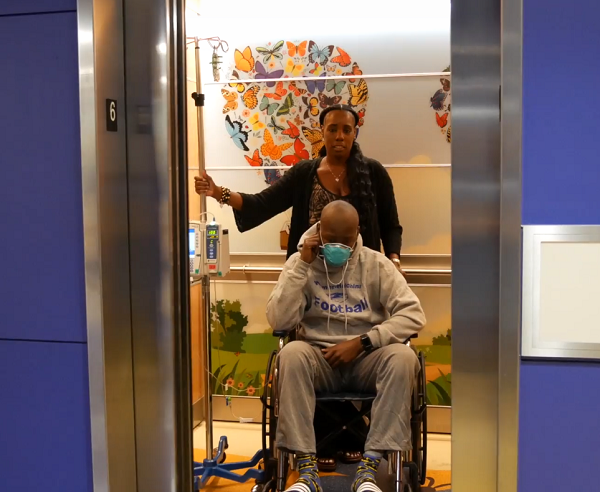 When he was finally able to leave the hospital and get back to his normal life, Davion took all of the footage he’d captured over the months and edited it into a powerful video in honor of all the doctors, nurses, and staff who had gotten him through some of the worst days of his young life. From the moment Davion and his mother entered the cancer ward, Davion’s camera filmed every painful second of the fight for his life. Davion used the video as a way to document everything, but also as a means of keeping his spirits up. 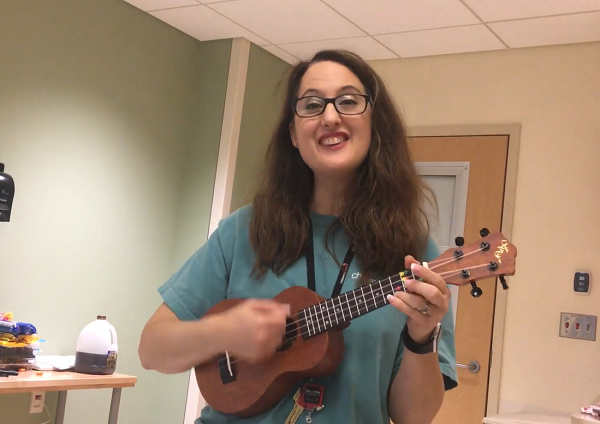 Over the course of several weeks, he asked the hospital workers to lip-sync along to a song he’d selected just for the video, “Count On Me” by Bruno Mars. 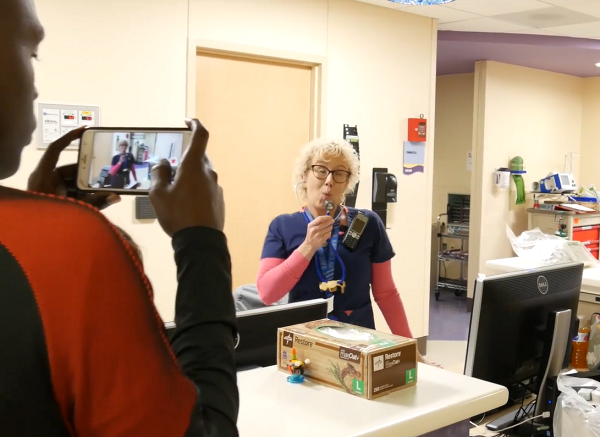 Hospital staffers were more than willing to sing along and dance for Davion’s project. The song features lyrics about leaning on those we love during good times and bad and going the extra mile to be the kind of person your loved ones can rely upon. Davion says the lyrics of the song, ‘Count on Me’ by Bruno Mars, is exactly how he feels about his music therapist and care team. He could always count on them to encourage and lift his spirits while he was in our care. One thing is for sure, we can count on Davion to make us smile! You guys […] took me in and treated me like family. The days when I felt like I couldn’t do it anymore, you would always tell me to be positive and to look how far I’ve come. Coming in I was very scared but you guys quickly turned those bubble gut feelings into laughter and smiles every day. While we often praise our first responders for the important work they do each day, we shouldn’t forget to honor our nation’s hardworking medical professionals as well. These devoted healthcare workers help cure some of the most terrifying diseases known to man. The way they focus on treating patients with dignity and respect, while also helping them maintain a positive attitude, should never be overlooked! 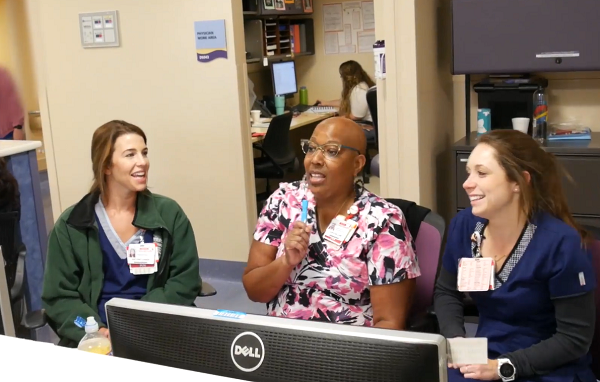 Watch Davion’s sweet ‘thank you’ video below, and be sure to share to thank a doctor, nurse, or hospital staff member today!